While the tennis world indulges in guilty pleasure from those who try and fail in the fashion stakes, there are those who have shined on the world stage—sometimes literally. 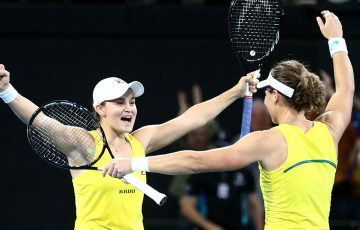 While the tennis world indulges in guilty pleasure from those who try and fail in the fashion stakes, there are those who have shined on the world stage—sometimes literally. Subject to New York’s most accomplished fashion critics, and at the centre of over 22,000 pairs of eyes, the pressure is on for the players to dress for success on New York’s tennis stage. As the world’s best battle late in the second week of the US Open, we’ve decided to celebrate the more triumphant fashion moments at Flushing Meadows. Before the cat-suits, sparkles, and ill-fitting mishaps, we think it’s worth celebrating the simpler times for the Williams sisters. 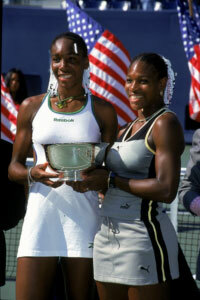 While we can excuse the matching beads, the Williams girls looked their athletic best in sleek lines, classic colours and understated embellishments during the 1999 US Open, where the champion team both took home their first piece of US Open silverware. 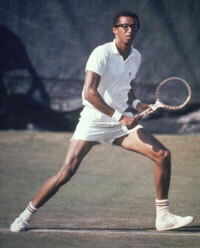 While his marathon five-set men’s final against Dutch player Tom Okker remains the immortalised spectacle from 1968, Arthur Ashe’s bold glasses can’t go unnoticed. The famous and stylish love their thick-rimmed frames and Ashe pulls it off in debonair fashion. Paired with the classic white tennis ensemble, wooden racquet and double-striped sock—for a touch of flare—Ashe’s fashion is as immortal as his name around Flushing Meadows. Sometimes fashion is all about the right accessories and Andy Roddick epitomised fashion triumph in 2003 with the ultimate accessory. 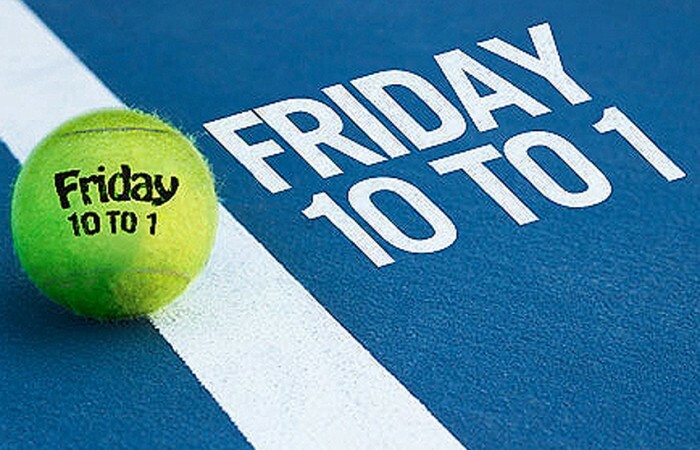 Told his spiky-haired look was doing him no favours in 2002, Roddick swapped the visor for a trucker’s cap when he came back the next year and it remains his only Grand Slam title. 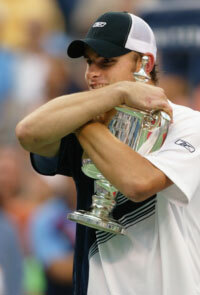 The trucker’s cap was not only a worldwide trend, but a signature piece for Roddick throughout the rest of his career. This trend-setting moment has the American at number eight on our countdown. 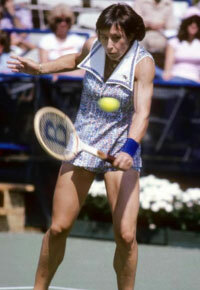 One better than Roddick’s cap is Martina Navratilova’s classic collar in 1977. It may seem a tad bold to modern tennis fans, but the seventies collar was the ultimate trend of the decade and bound to make its way onto the tennis courts of New York. No one could do it better than Navratilova in the typical mini-length cut, wall-paper style print and the must-have collar, trimming and all. This head-to-toe seventies encapsulation is a vintage number seven. 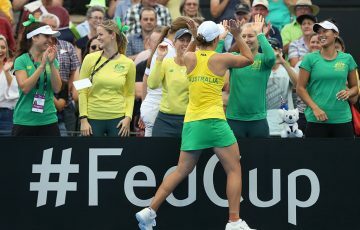 A fashion list is probably the last place Sam Stosur would expect to find her name, but the Australian certainly looked the part in this classic black and white Lacoste dress in 2010. The cut fits impeccably on Stosur and the black detailing is just enough with the quirky pockets. Down to the matching racquet and simple necklace, this look is a staple on country club courts everywhere. Keeping to the classics is Belarusian breakthrough Victoria Azarenka in 2011. The cut is elegant, the colour destined for her and the u-shaped cut-out on the back strikes the perfect balance between fashion and function—which has proven more difficult than it sounds for a lot of our modern players. Victoria definitely has our tick of approval for this Nike number five. Fashion-conscious American Chris Evert celebrated her record sixth and final US Open title in style with this vibrant waisted skirt in 1982. The flattering cut and signature eighties pleats are perfect for Evert’s figure and the striped shirt tops it off as the fitting pair. The faded red stripe takes it away from over the top and makes the skirt all the more impressive. Venus Williams was never one to hide in the shadows at her home Grand Slam and now she’s gone one step further than her competitors, designing her own outfits under her label “Eleven”. She may be struggling to regain the form that brought her US Open glory, but Venus is certainly excelling in the design stakes. The posy print drifts subtly from black-toned straps to red shorts in understated elegance on her tall frame. Venus has swapped the bead-clad braids for a more functional up-do this year and we’re thankful to have her back at number three. A girl does love a diamond and style queen Maria Sharapova took tennis fashion to a new level in 2007, designing a dress inspired by New York City itself. She may not have been able to defend her 2006 crown, but Sharapova certainly made an impression with this bold dress, studded with Swarovski crystals around the neckline. The a-line cut fits like a glove without being too ostentatious for the tennis court—if you don’t mind a bit of bling. While it may not be everyone’s first choice of tennis outfit, Sharapova said her daring outfits bring out her best tennis. “You feel like you’re the bomb. I had never worn red before. 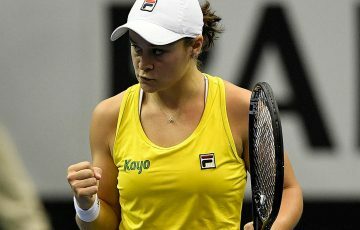 And there’s no better place to do it than at a night match in New York City.” It certainly seems to be working for her, and she’s sitting pretty at number two on our countdown. Can Roger Federer ever put a foot wrong? His classic, timeless style has become a signature during his career, spawning the trend of players creating their own logo. Even the simple navy looks a more expensive shade in this night outfit during the 2010 Championships, leaving Fashion guru Carson Kressley hailing Federer the “George Clooney of the courts”. In this outfit, we have to agree. The no-fuss style and perfect amount of white-trimming is all class and it’s no surprise that Federer has the most impressive endorsement portfolio in world sport. It seems to be just another of the champion’s many skills. Until we can find one hair out of place, we have no choice but to award Roger Federer our number one fashion triumph.